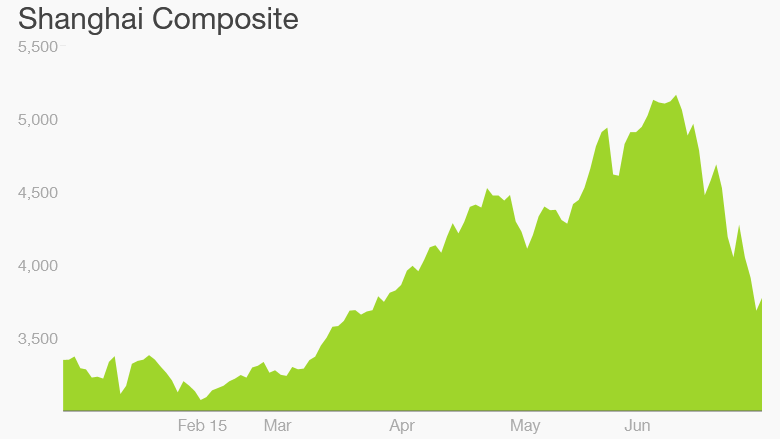 This is a very scary time to own Chinese stocks. The market has plunged over 25% and stomach-churning volatility has become routine. But if you take the long view, analysts say, China's markets are too important for international investors to ignore. "There are market fluctuations, but that doesn't mean it's not an important market to be looking at," said Steve Wang, chief China economist at Reorient Research in Hong Kong. "China is opening up ... [and] there are a lot of business opportunities there." Still, nerves of steel are required. After racing upward for much of 2015 -- at one point gaining more than 60% -- the benchmark Shanghai Composite has shed 27% since June 12. The government is now actively rolling out measures in an attempt to halt the slide. "The intraday swings can also be very big, so overall investor risk appetite -- they have to be able to bear quite a bit," Wang said. 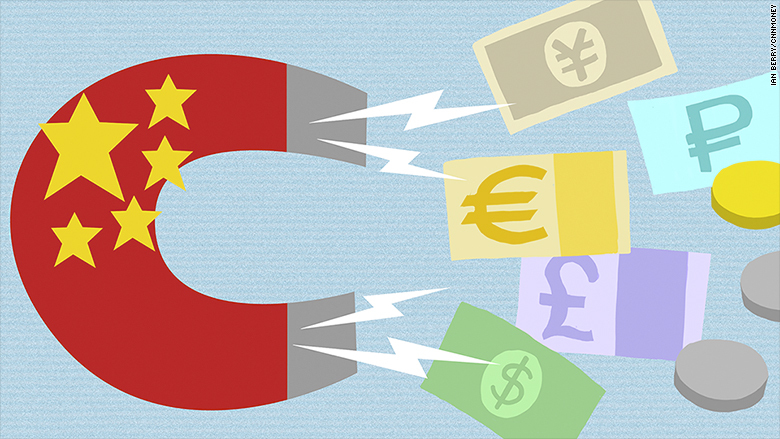 China's markets have traditionally been closed to outsiders. Even with the government's recent push to open up its financial system, foreign investors still have very little exposure to Chinese stocks, owning just 1.5% of total shares, according to Capital Economics. For example, China would like for its stocks to be included in MSCI's widely-tracked global benchmarks. While China was passed over again this year by MSCI, the index provider said it's "on track" for inclusion, meaning the country's shares could soon gain a new vote of confidence. In 2014, regulators launched a pilot program that linked the Hong Kong and Shanghai markets, allowing Chinese investors to more easily trade foreign stocks in Hong Kong, and foreign investors to trade Chinese companies. The government is now working on a new program between Shenzhen and Hong Kong, modeled after the Shanghai link, that is scheduled to launch later this year. Wang expects Beijing to power ahead with this program, despite the market's downward trend, as foreign capital could help support the stock market. It would also give foreign investors more options -- lots of smaller, innovative tech companies are traded in Shenzhen, unlike Shanghai, which is dominated by state-owned, blue chip companies. Risks and challenges do remain. One is a language barrier -- most firms still only release company announcements in Chinese. Another is a general lack of quality information on the performance of Chinese companies. MSCI, in explaining its decision to keep China stocks out of its benchmark indexes, said that "most international investors would like to see the process be more transparent and predictable." But China is a growing power player in global financial markets. It already boasts the world's second-largest economy, and is widely expected to surpass that of the U.S. in the coming decades. Some of China's companies are competing with -- and even beating -- respected multinationals. The country's stock markets will play an important part of the development process. Savvy investors may even view the recent drop as a chance to buy at a discount.